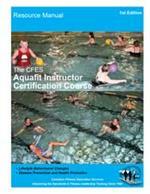 The CFES Aquafit Instructor Course manual is used by fitness educators within the national fitness leadership certification program. 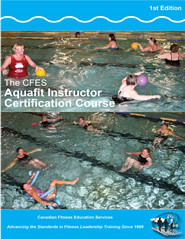 This course is designed to teach foundation knowledge and instructor skills to successfully complete CFES national Aquafit Instructor certification -- enabling you to program and lead basic aquatic fitness exercise classes. Ample practicum opportunities are provided. 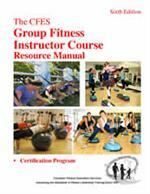 • To program plan for all class sections and fitness levels for aquatic fitness classes. • How to create a safe and caring atmosphere. • Properly screen your participants, provide on-going screening and monitoring of the participants for the duration of the program and provide modifications to accommodate all levels of ability, and to design, modify, and lead a safe, effective, and appropriate water fitness exercise class. • Cueing and working with music. 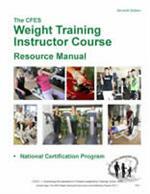 • Use of shallow, and deep water space and group formations and choreography skills. • Communication skills and professional ethics. 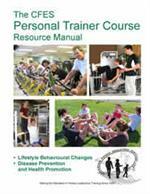 • Students will be given ample teaching opportunities within the course and practicums. This course requires 35 hours of classroom and theory learning, 20 hours for the Practicum, and 30 to 40 hours of home study (pre-study, pre-reading, pre-assignments, homework assignments, open book exam, preparation for the CFES national certification closed book exam, and preparation for the Skills Assessment). 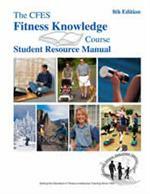 CFES Educators & Course Conductors: For bulk orders of CFES resources please email, fax or call us directly. Click here for more information on CFES Aquafit Instructor national certification. *Notes: Cost of the manual is $44 + shipping + taxes. Product is shipped by Canada Post Express and must be ordered separately from all other products.